Mobile has become the focus of marketers worldwide because it goes with all of us, wherever we are and whatever we are doing. It seamlessly and ubiquitously is with us as we move from work to home and in between. 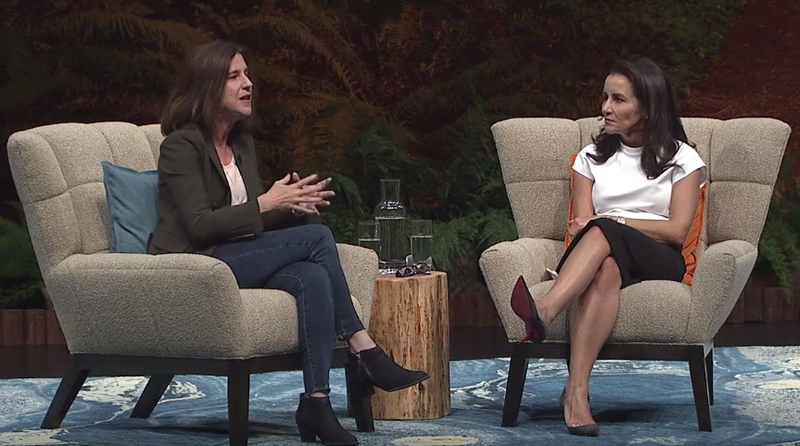 At Salesforce Dreamforce, Stephanie Buscemi, CMO of Salesforce, and Susan Prescott, Vice President Product Marketing at Apple discussed how mobile is changing the world of marketing. In particular, how mobility is setting new standards for customer expectations and how the is impacting the customer experience. An opportunity from a marketing point of view with mobility and with the technologies, the information you have about customers in the cloud and the devices that we have in the hands of customers, is the ability to personalize it. Rather than a marketing world where it’s just about driving awareness and trying to drive a generic action you have the opportunity that will help you deliver an even better more personal experience understanding things about that user. From a marketing point of view, the power of combining the Salesforce Cloud and all of the things that are all of the insights and information that are there together with the intuitive familiar experience of the ubiquitous device that brings information to your fingertips all the time, it’s so powerful. This idea of having information when you need it, where you need it, on the device you have with you, is powerful. As a consumer, obviously, I have that when I walk in a store I can have information right on my phone about items in the store, some of which have smart tagging so I can see the availability of the item and colors it comes in. Once the consumers have that kind of information we have to be smart as marketers to help them take the next step and not just feed them with generic awareness tools. We as marketers have the opportunity to leverage all of that into more personalized experiences that benefit the user and also can benefit businesses. The idea of mobility isn’t just that it’s fun and easy, it’s that it’s creating value, value for the consumer, value for the business, and value for the customer.